This LED prize wheel features flashing lights that can draw a crowd. Watch as our product expert demonstrates the different lighting effects available with this model. TEXT: "Full LED effects! 5 Customizable LED settings. Customize your light show with button located on the back of game board. The fun game could bring lots of attention to your company or charity. The prizewheel grabs instant attention anywhere! 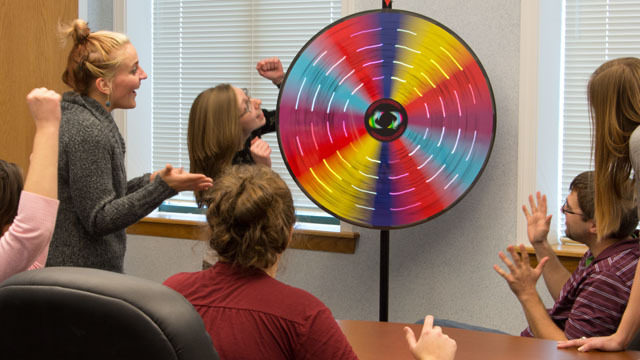 Use this fun game to boost employee morale at business meetings!"